You know what? Today I wouldn’t pause in my daily duties replaying the past occurrence in my head. I wouldn’t call you and babble words I can hardly remember. However, I will stop by at your place on my way out and if you let me in, I will sit with you and gaze into space with you. 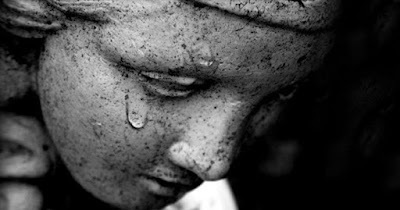 I will cry with you if you allow the tears escape from your ever-glistering eyes. I will clean your floors and help you take out the trash from last week. I will try to find a way to help you to live again but before I do that, I will pray for you. Do you ever know the right thing to say to someone in grief? Have you ever lost someone or found yourself in situations that make you question God’s existence? I will be glad if you shared with us how you coped. As for me, I used to have a close friend in my early days at the University who lost her mum. It was a shock to us all and I remembered that I was so confused on what to say or do that I retreated. I stopped going to check on her because I didn’t know how to act and somehow our relationship fizzled out. As the years go by, I realized I was wrong. I could have done more to help her through those lonely times. Today, I read the story of a young lady who has literally seen it all and my heart was torn. If I had superpowers, I am sure what I am going to do is end every good person’s miseries. As a Christian, I believe in the peace that can be found by feeding on the Bible and professing the words of hope. Grief is a bad thing but my love, you are not alone. Job walked this path during his lifetime. Jesus is the son of God but he also experienced deep grief while in a manly body.He lost John the Baptist who was beheaded by Herod. He also lost his very good friend, Lazarus whom he later raised from death. We may never fully understand why some bad things occur but we are assured of the promise that even when we walk through the shadow of death, the Lord would be with us. You may find some answers by reading this earlier posted article. Pls do you offer trainings?